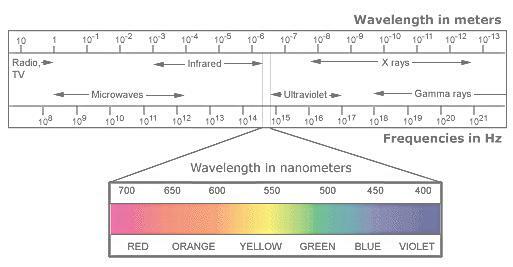 The many forms of electromagnetic radiation - heat, light, radar, radio, etc. - differ from one another in frequency but not in kind. The co-called "kinds" of radiation are characterized by the techniques used to produce and detect them; actually, they all travel through free space with the same velocity and should all be understood in terms of the same theory. The tremednous range of the electromagnetic spectrum is shown in the diagram. The classical theory of Maxwell applies to all these radiations and all are due ultimately to the acceleration of electrical charges. 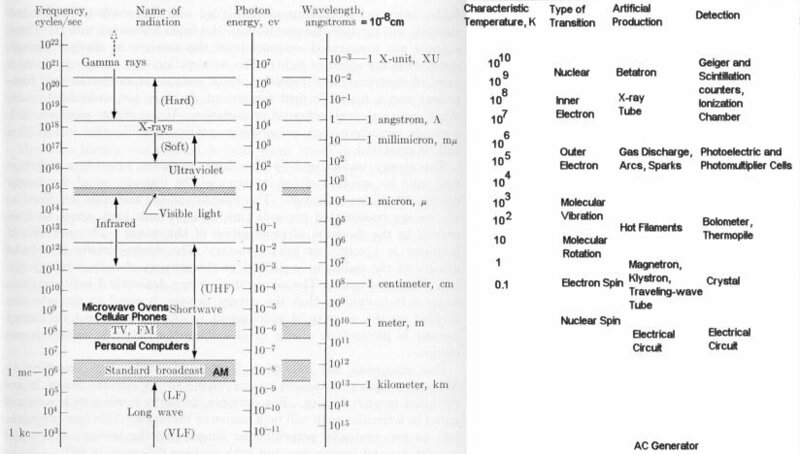 The table below summarizes the characteristic of the various parts of the spectrum.